In case you’ve been living under a rock, you need to know that it is the season once again for Girl Scout Cookies. Hallelujah! 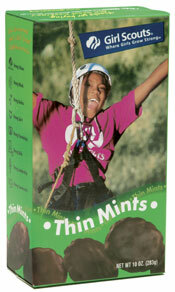 Buy an extra box of Thin Mints for me… will you? Don’t let me be embarassed that I have probably bought more Thin Mints than any customer so far.